Andy Tyson is a seasoned NOLS Instructor, guide for Alpine Ascents International, and a veteran Exum Mountain Guide. Needless to say, Andy has years of high mountain experience. 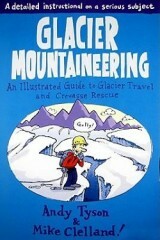 Mike Clelland is a NOLS instructor and the life-breath of this wonderful book. The two of them got together to write Glacier Mountaineering which is an intelligent guide to safe-travel on glaciers with a unique feature: it’s a hilarious read that you can’t put down. The book is chock-full of funny cartoons explaining self-arrest techniques, all kinds of knots and their uses, and various types of equipment. 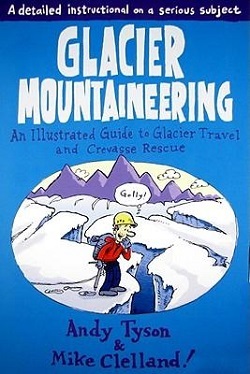 If you are looking to add mountain travel that’s well-above the tree-line to your life, consider reading Glacier Mountaineering - An Illustrated Guide to Glacier Travel and Crevasse Rescue. Reading cover to cover in one sitting isn’t uncommon.